Over the last 30 years Dunbar and Boardman has delivered many projects throughout the world and lots of those have been in the UK. D & B’s first Liverpool–based project was in the 1980s. We initially worked with HH + J Robinson (now CBRE) mainly on buildings owned by Equity and Law (now Axa). We also reported and advised on St Johns Tower, again for HH + J Robinson on behalf of the owners Land Securities. We then worked extensively with local agencies such as Edmund Kirby (now Matthews and Goodman) on India Building amongst other sites. The recent Liverpool Conference was in conjunction with the International Festival of Business successfully organised by UK property forums & Matt Battle. The conference clearly demonstrated how successfully Liverpool has transformed itself. Once a conventional historic port Liverpool is now a modern commercial city within an industrial fringe. We wish to congratulate UK Property Forums and Matt Battle for a wonderful conference and Keppie Massie for the tour and dinner themes. We advised on the John Lewis roll-out programme which included Liverpool and supported WSP on the Liverpool One development. The Capital Building (formerly Royal Insurance HQ) modernisation of the main group of lifts. 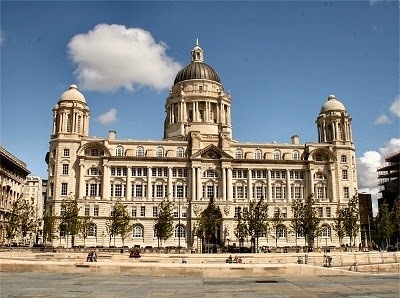 We also handle the Maintenance Management for the National Museums Liverpool which includes the Museum of Liverpool. Do you have a current or planned project in the Liverpool area? We would be happy to discuss any such requirements and how we may be able to assist. Please contact us visit our Warrington Office and ask for Vance Cunningham to start the conversation. We look forward to hearing from you. Excellent! Thanks for sharing this post. I like this post.Hamilton International Estates offers high quality services like as Investment Property In Liverpool, manchester property for sale, property for sale liverpool city centre, liverpool property for sale in UK with cheap price.